The enchanting hamlet of La Foye de Vinax provides a peaceful and relaxing retreat, yet has the whole of the Poitou Charentes within around an hour s journey. 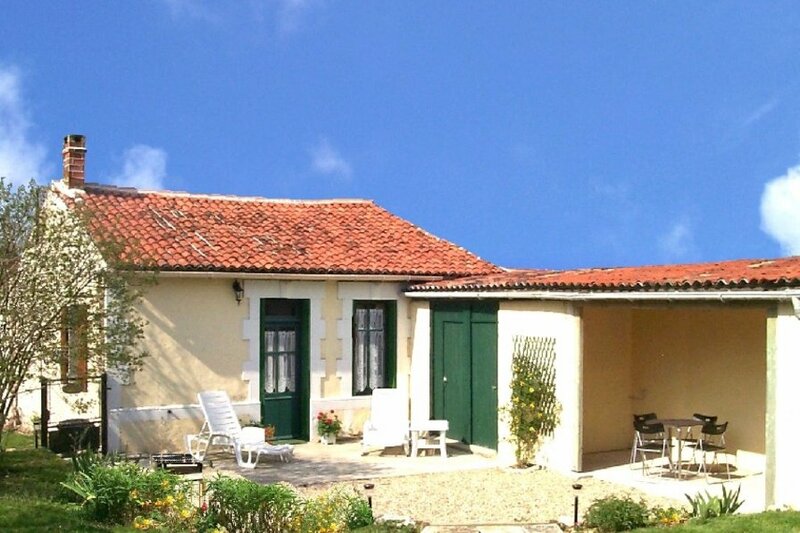 A gloriously tranquil, unspoiled setting, perfect for French country living and a relaxed, refreshing holiday. You will need a car to get around. The Forest of Aulnay, a short walk from the cottage, is teeming with wildlife and is ideal for family picnics, or intrepid adventures. Follow the Boutonne valley with its Romanesque art treasures, vineyards and the loveliest Chateau in the region at Dampierre, just 15 minutes away. Medieval history, Chateaux and vineyards. Within minutes in every direction. Walking or cycling right from your front door. Golf. There are seventeen courses in the Poitou Charentes. Fishing. Trout, specimen carp, pike or just some entertainment for the kids. Family Activities. Lots to do, from the high-tech Futuroscope theme-park to relaxed mini-cruises on the Charente. Beaches and Watersports. A selection of beautiful beaches stretch along the Atlantic coast. Also, an assortment of recreational lakes within a few miles of the cottage for swimming, boating, canoeing and fishing. The nearby towns of Nere and Aulnay are both around ten minutes away and offer a selection of small shops, supermarket, weekly market, bars and restaurants, plus English speaking Doctor and Dentist. Larger supermarhets and facilities are available in St Jean d'Angely 20 minutes away. The bedroom is equipped with twin, electronically adjustable beds. The lounge is also equipped with a sofa-bed to sleep 2 and a separate z-bed is available if required. Cot and push chair available if required. Cot linen not provided. We provide all other bed-linen, duvets and pillows, plus a set of bathroom towels for each guest. Please bring your own beach and sun-lounger towels. We have two shower rooms, one en-suite and one outside. The outside shower room is only supplied with cold water at this time.